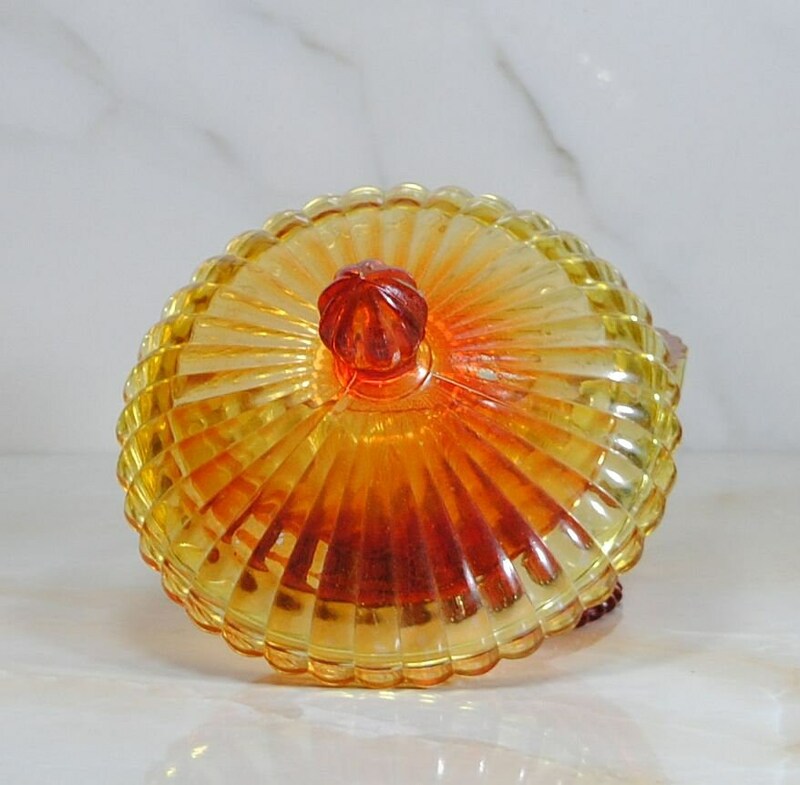 Vintage Amberina Glass candy bowl with lid. 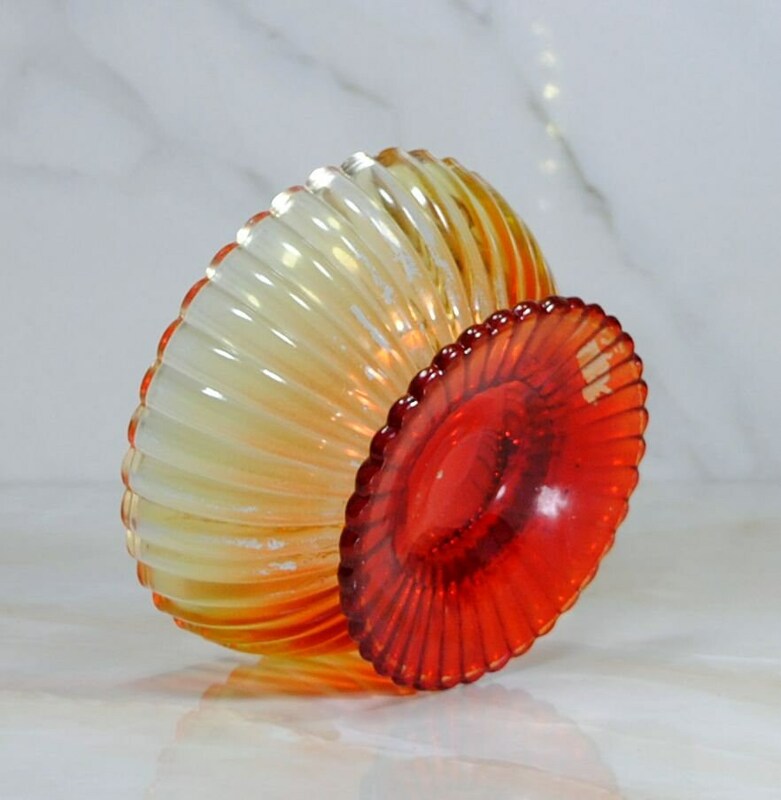 The Glass is heavy and thick with red to orange to yellow coloring. 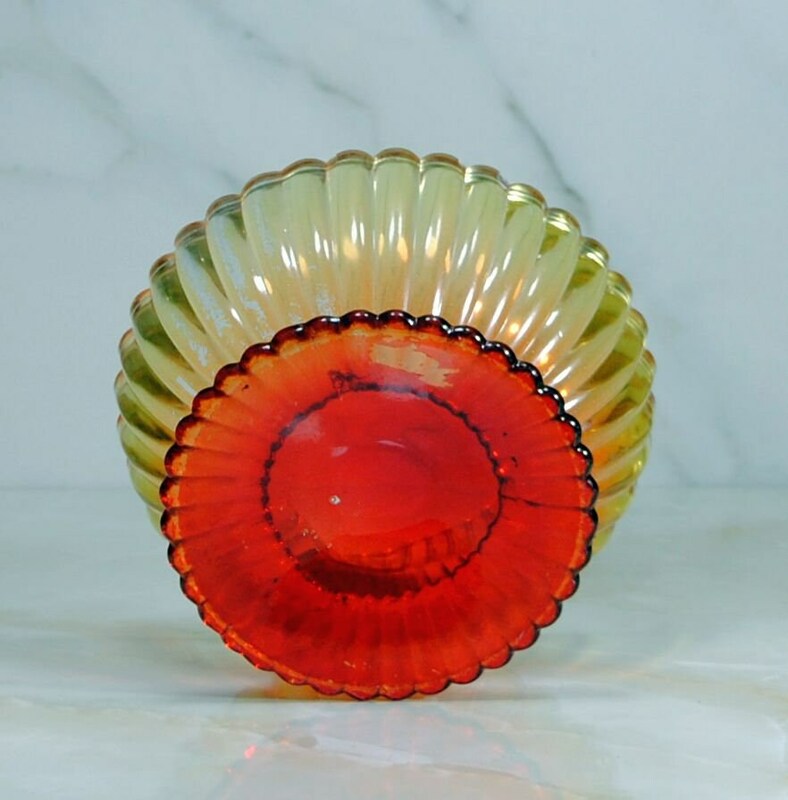 The scalloping adds brilliance to this piece. Great collector's piece. 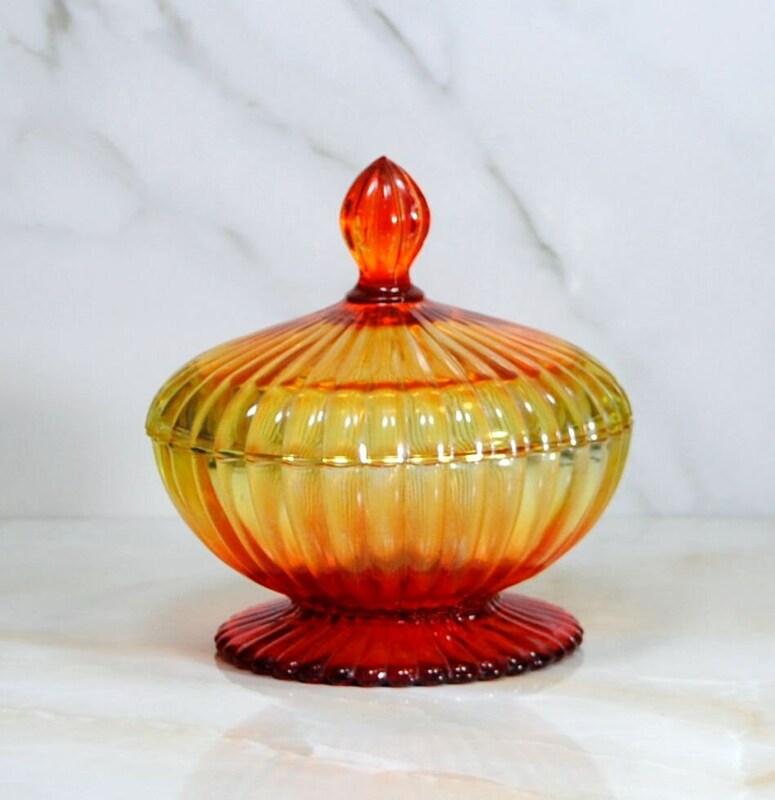 The bowl measures approximately 7'' Tall w/lid, 3'' Tall w/out lid. 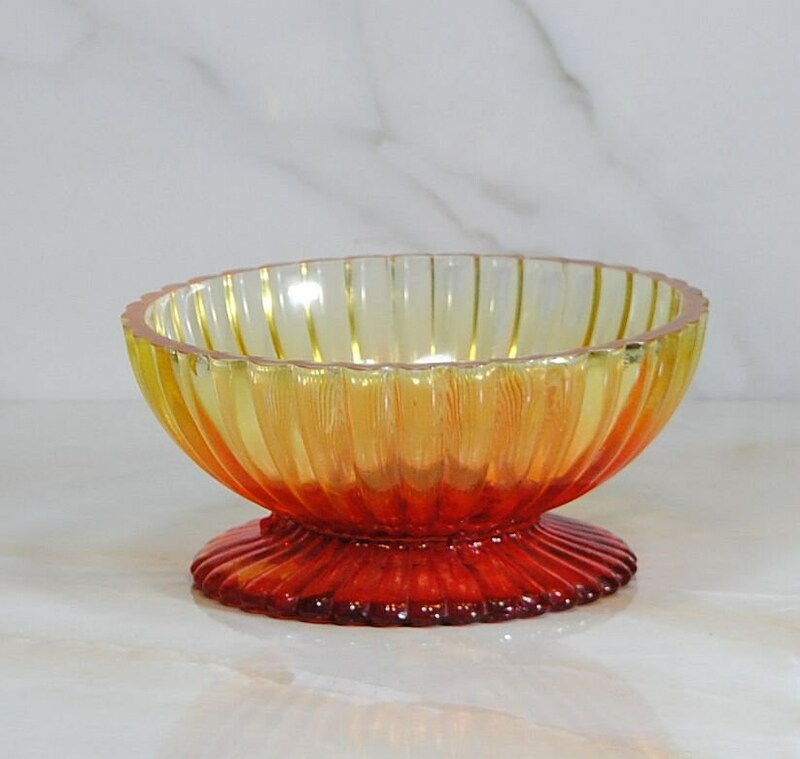 The bowl is 6 1/2'' in diameter and 2" deep, and pedestal base is 5" in diameter. 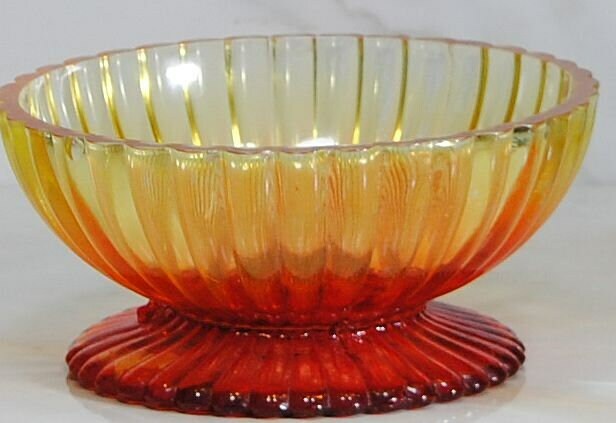 The bowl is in good condition with no cracks or breaks. 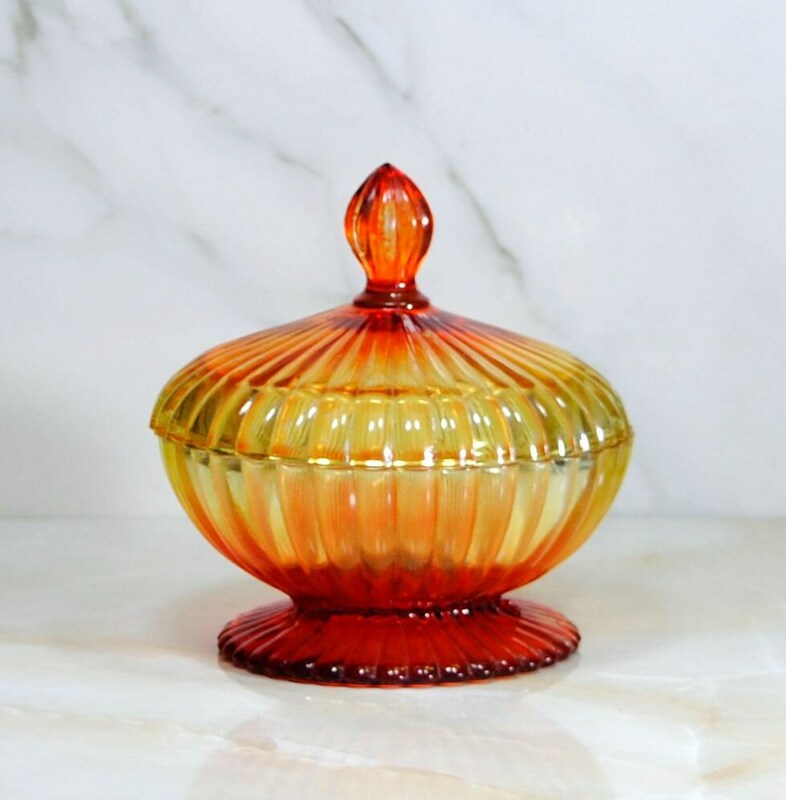 The top of the bowl has 4 small chips and several fleabites, the lid has 1 small fleabite on the rim. 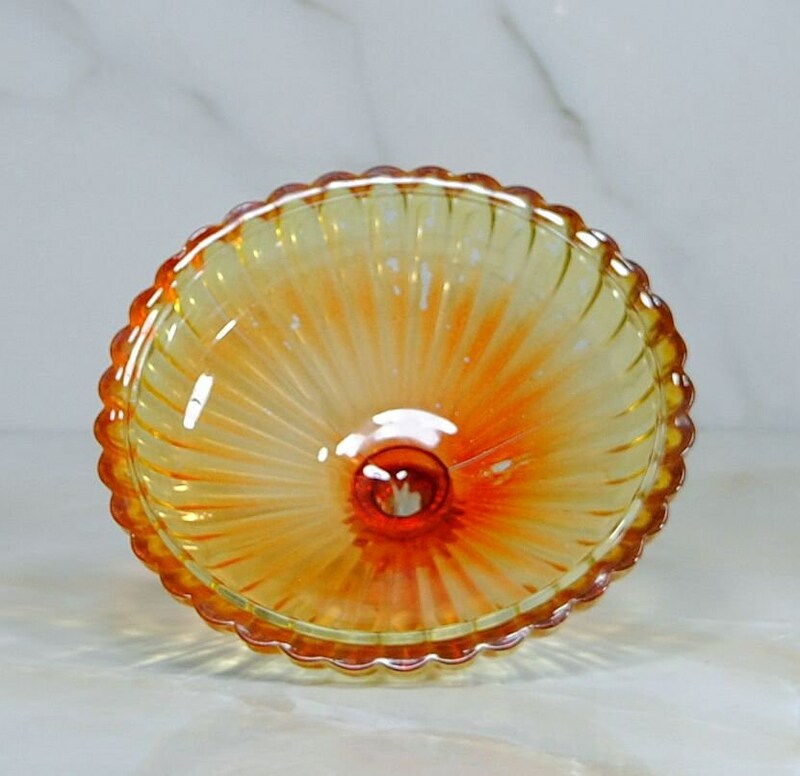 The underside of the bowl has what appears to be a manufacture's defect along with a lump of glass from where the glass work was completed. 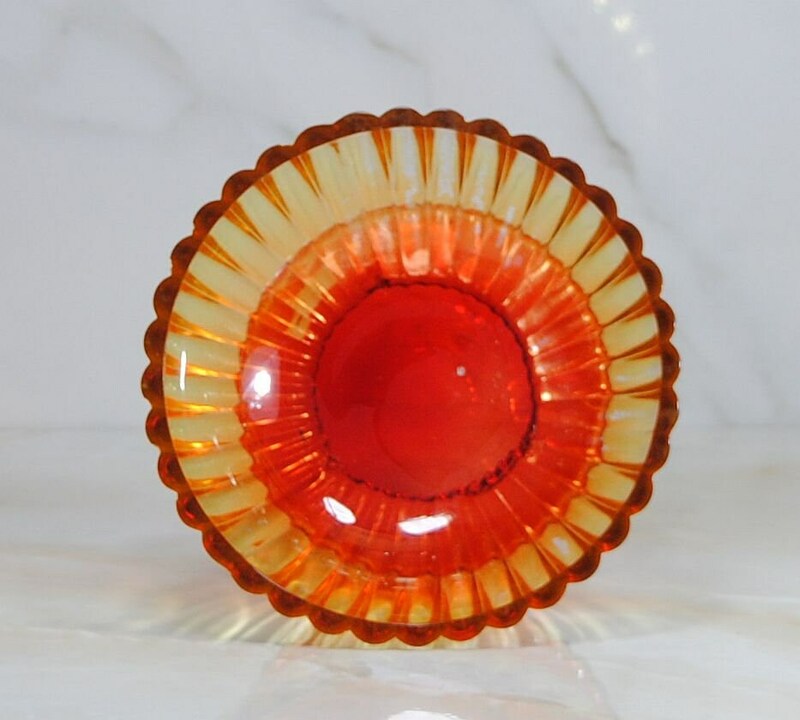 Both pieces have some rub off from the flash glass as is common with vintage amberina. 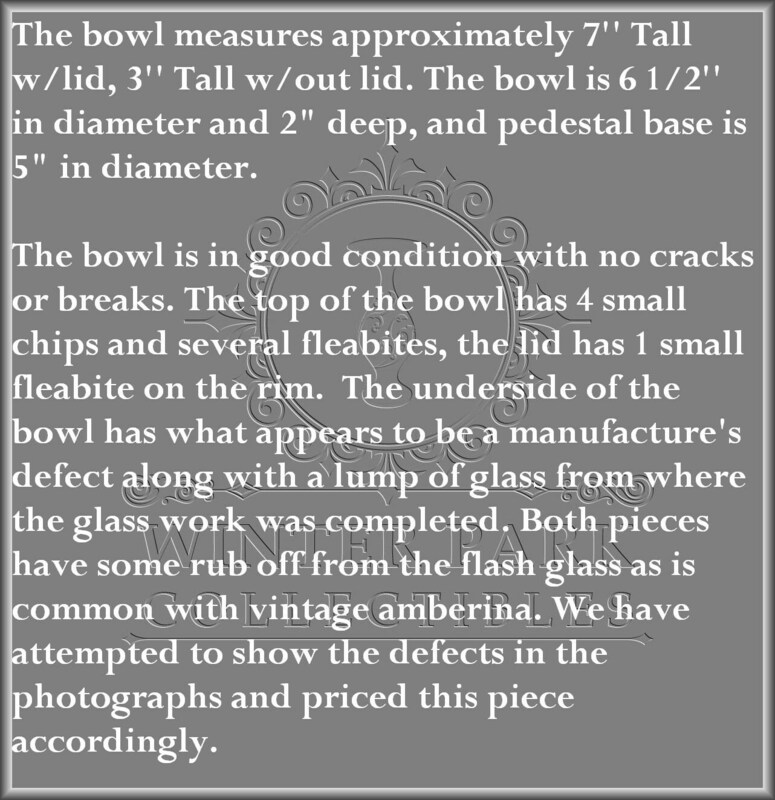 We have attempted to show the defects in the photographs and priced this piece accordingly. Please see the photographs for additional condition information. Thanks for stopping by!